I just watched an episode of the Flash, where Barry and his friends are fighting Zoom. Tony Todd is the voice of Zoom. 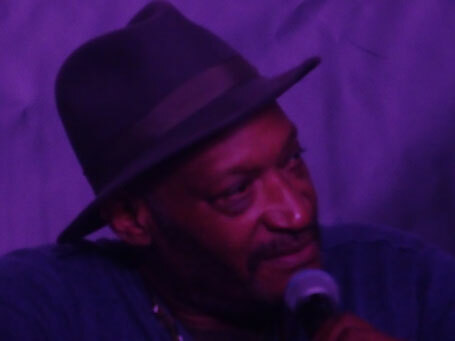 We saw Tony Todd at Weekend of Hell in 2015 and in his Q&A he already told about new projects. He said he would be Zoom in The Flash. That made really curious about Zoom in the Flash. And he's an awesome villain! When Weekend of Hell announced Tony Todd as a guest, I was very happy! He's awesome and has played some incredible roles. Many people know Tony Todd for his role in Candyman. I do as well and I absolutely love that movie. I rewatched it before going to Weekend of Hell. Candyman is about Lyle, a graduate student. She's researching local legends. The story about the 'Candyman' interests her. So she focusses on that story. According to the legend, you can summon the Candyman by saying his name five times while facing a mirror. She can't resist it and tries it out. Ofcourse she'll regret that.. I love the way Tony Todd plays the Candyman! Besides Candyman, Tony Todd is also known for portaying Ben in Night of the Living Dead (1990 and 2015). This was quite at the start of his career (He started in 1986). And when you watch Night of Living Dead, you see a young Tony Todd. Though he must have been around 35/ 36 years old at that moment. I love the movie and also Tony's role in it. I enjoy watching zombie movies and in my opinion, Night of the Living Dead is definitely one of the good ones! Personally I'm also a fan of the Final Destination movies. yeah, I know not everyone likes them. And I usually watch a different kind of horror movies as well. But somehow Final Destination always entertains me. I like the combination of humor and the idea that there's some pre set destiny that you can't escape. It's just interesting! Tony Todd plays the role of Bludworth in Final Destination 1,2,3 and 5. Bludworth is the person in the Final Destination movies who has the most knowledge of Death and its capacities. Tony has so many many more awesome roles on his name! I just highlighted some for now. He often gets cast for horror movies and he also work a lot as a voice actor. I loved that we saw him at Weekend of Hell and got to experience that he's also a great guy. His Q&A was very interesting and he was really nice to everyone. Next time he'll be at a convention, I'll definitely go for an autograph or photo op! I also know him from Candyman but didn't know he was the voice of Zoom. Interesting nugget there! He's had small roles in other movies from what I remember. Most of the time he's a bad guy right?